No matter what your situation, today’s regulatory, corporate, and business environments increasingly demand transparency. How strong are your internal checks and balances? How confident are you that your SOX compliance assessment identifies key risks and controls? We can help you at any level regarding Sarbanes-Oxley compliance. From getting your board of directors aligned to anticipating and reducing costs, we work within the parameters of your business to optimize your compliance profile. Are we obtaining maximum reliance on our internal controls testing from our external auditor? Do we have the bandwidth to maintain and evaluate our internal control environment? Is our current SOX testing program effectively capturing organizational risk and appropriately scoped for the size of our organization? Should a significant deficiency or material weakness be identified, are we equipped to advocate and take the necessary mitigating actions to avoid an adverse opinion? Often times the annual SOX process is placed on the back burner during the year as management and the external auditors tackle other pressing operational and financial reporting issues. 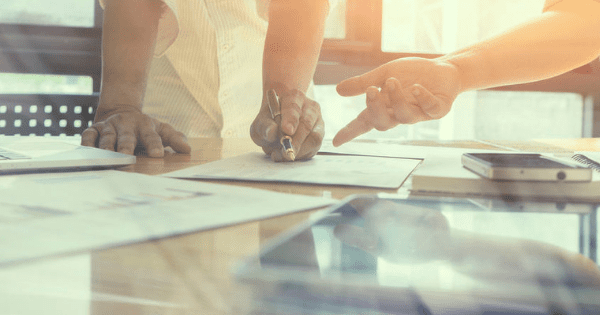 In some instances, management and the external auditors are unable to connect and collaborate on the methodology used to perform the SOX assessment until it’s too late. In this scenario, the external auditor may decide that they’re unable to rely on the work performed by management – the work may not meet the external audit firm’s own internal methodology standards, or the requirements set forth by the PCAOB. SC&H Group’s Risk Management Services team collaborates with internal staff and external auditors to streamline SOX efforts – in turn minimizing organizational risk and maximizing value. Our seasoned team of professionals help companies create a sound internal control environment while ultimately keeping the cost of compliance in-check. Our Risk Management specialists work diligently to make all parties involved comfortable and confident with the controls and processes in place. Ultimately, the work performed up front by our dedicated team of SOX and internal audit professionals can decrease the amount of time, effort, and cost incurred to maintain compliance.